Small town? Try Population 15! Read more details about this day and about Mark’s x-country cycling adventure on his blog here. 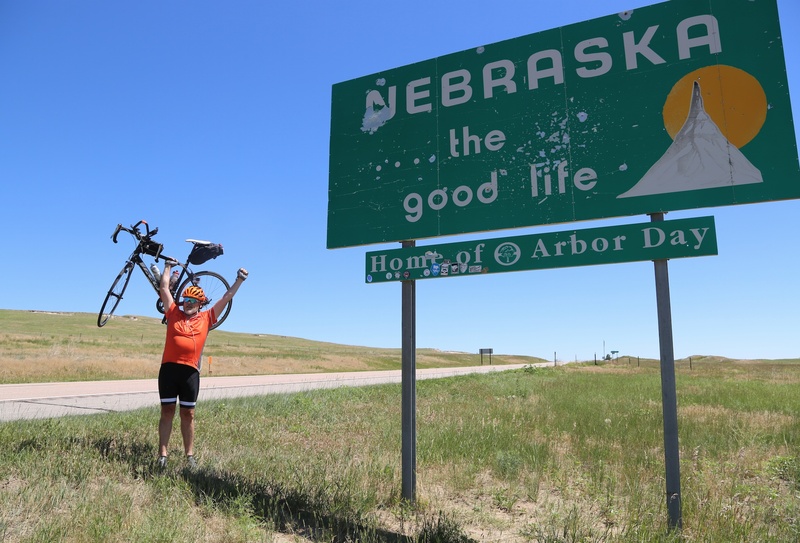 It was a rough day emotionally for me (will write more about that later) so I really, really appreciate this thoughtful post from Phillip Harnden about “55 and Alive.” He’s a self-taught photographer from the local newspapers in Glenrock and Douglas who we met as Mark was riding through that area on his way to Nebraska yesterday (will post the link to the story once it’s up). In this post, he writes that he was personally inspired by Mark’s journey to live a dream and to challenge himself. But he also writes some nice things about me. My fav: “Melody cracked my shell and I began to introspect on some past experiences that had shaped who I am today.” Phillip had been a special ops corrections officer in the Wyoming State Prison, an electrician and a truck driver before coming to journalism and taking the plunge to full time photography. Talk about a transition! (Read more about our discussion in his post). I really enjoyed “cracking his shell” because I feel like we had a very meaningful conversation. 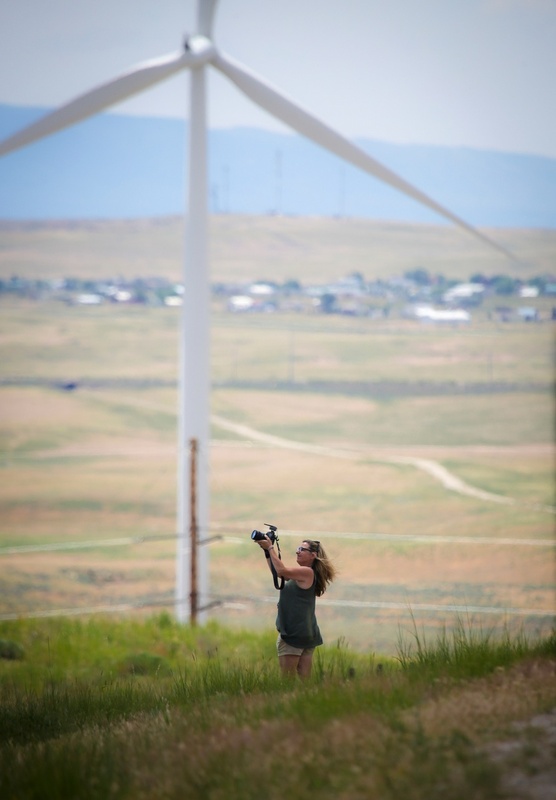 I am also grateful the he took this super sweet pic of me while filming giant windmills and waiting for Mark to come up the long and winding road in Glenrock. Typically I am more comfortable being on the other side of the camera, but this pic captures my life these days perfectly.